Self-assembly of cetyl trimethyl ammonium bromide-protected colloidal gold nanorods with different aspect ratios has been studied by adding the ethylene diamine tetraacetic acid (EDTA). Both the assembly strength and assembly configuration fashion of the gold nanorods could be tuned by changing the aspect ratio. For gold nanorods with small aspect ratio, side-by-side assembly takes the major role in the aggregation. In this case, the blue shift of the longitudinal absorption and the increase of the transverse absorption lead to the great uplift of the middle spectrum dip as the EDTA is increased. For gold nanorods with large aspect ratio, end-to-end assembly takes the major role in the aggregation. In this case, the longitudinal absorption peak fades down rapidly and a tailing absorption peak at longer wavelength uplifts greatly as the EDTA is increased. The surface-enhanced Raman scattering (SERS) activity of the assembled gold nanorods has been studied using alpha-fetoprotein (AFP) as the Raman active probe. 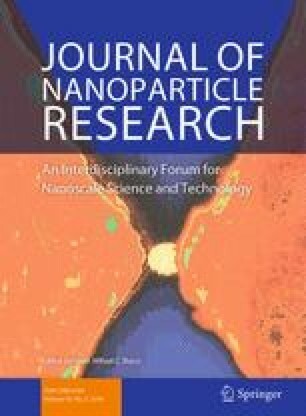 It has been found that both the side-by-side assembly and end-to-end assembly of the gold nanorods could effectively improve the Raman signal of the AFP. And the gold nanorod substrate with side-by-side assembly has higher SERS activity. Side-by-side assembly of gold nanorods leads to the middle spectrum dip of LSPR uplift greatly as the EDTA is increased, which also effectively improves the SERS activity. This work was supported by the Fundamental Research Funds for the Central Universities under Grant Nos. 2011jdgz17 and xjj2015082 and the National Natural Science Foundation of China under Grant Nos. 61178075 and 81101122.